Serving as the web-based portal for the entire SQL Power Suite, Power EAS provides the enterprise-level web services required (such as security, collaboration, scheduling, notifications, user management, taxonomy management and document management) for fully-integrated, end-to-end data collection and analysis. It seamlessly integrates the individual components of the SQL Power platform (Power Designer, Power Forms and XBRL Analytics) to provide a single, secure access point for all users. The integral hub of SQL Power's zero-footprint end-to-end platform, the Power EAS 'thin client' runs in any modern web browser, making it easy to use, easy to deploy and instantly accessible for all users within your organization. Power EAS manages single sign-on (SSO) security authentication for all SQL Power Suite components, so users sign in once in EAS and are granted secure access throughout the platform based on their role/privileges. 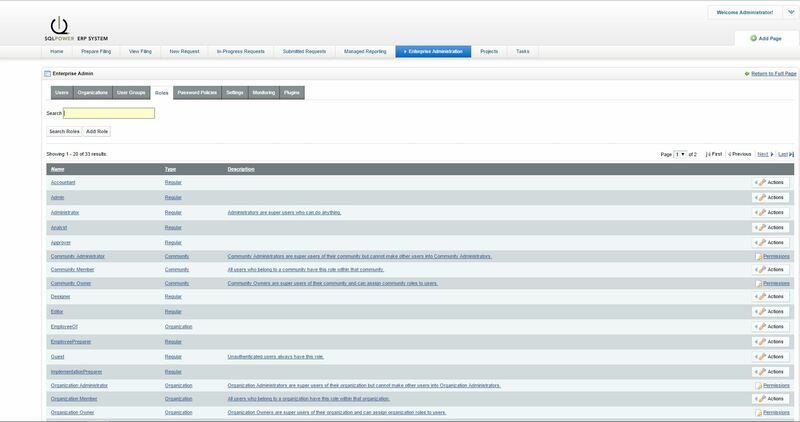 XBRL Analytics: XBRL Analytics runs via an EAS portlet, so all reports and dashboards can be accessed directly from EAS without having to launch any external applications. Power Designer: Power EAS includes a Java Web Start client for Power Designer, so users are automatically upgraded to the latest version of the taxonomy design software. Power Forms: Power EAS manages and links directly to Power Forms. This browser-based platform offers a set of application components that can be quickly assembled and configured to deliver data collection against XBRL instance documents. Built on a service-oriented architecture, the platform includes web services for both external and internal system access and can include other custom integrations. 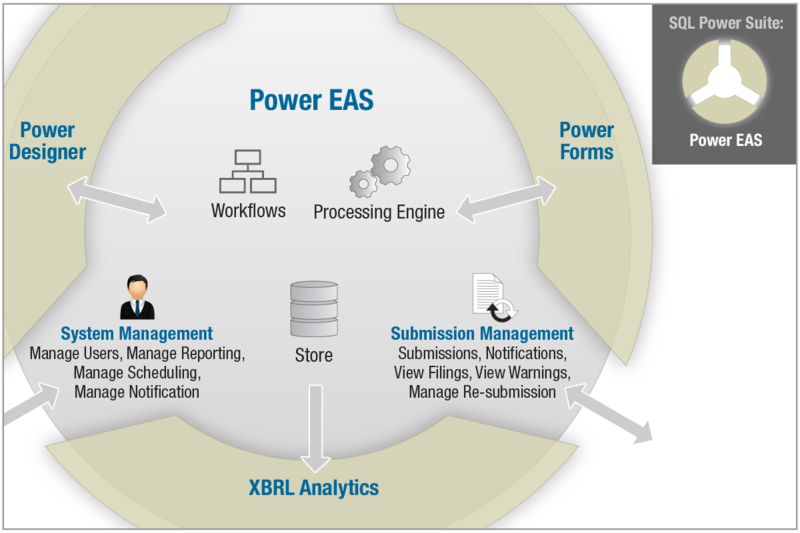 The Enterprise Application Suite integrates with Power Forms features that help enable XBRL filing. Power EAS integrates with existing security architectures such as LDAP Authentication and Synchronization, Oracle Access Manager, Novell Identity Manager, Sun Identity Manager / Open SSO, SiteMinder and Tivoli. The Power EAS Liferay Portal has been tested to support more than 3,000 concurrent transactions (33,000 simultaneous users) on a single 8-core application server. Power EAS web services are supported by Liferay's completely exposed API, which includes a Software Development Kit for rapid customization or custom portlet development.